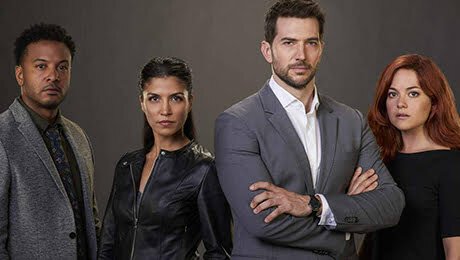 Broadcasters including Australian pay TV outfit Foxtel and AMC Networks in Iberia have picked up the second season of suspense drama Ransom from distributor and producer Entertainment One (eOne). The show’s second run has also been acquired by NBCUniversal for its channels in the UK and Ireland, Iflix in Africa and the Middle East, Sony in Central and Eastern Europe and Turner in the Nordics. The drama was renewed for 13 new episodes by CBS in the US and Corus Entertainment-owned Global Television in Canada. It will again follow Luke Roberts (Black Sails, Wolf Hall) as expert hostage negotiator Eric Beaumont. Ransom was created by David Vainola (Diamonds, Combat Hospital) and Frank Spotnitz (The X-Files, The Man in the High Castle). A Canada-Hungary treaty coproduction, it will be produced by eOne with executive producers Jennifer Kawaja and Julia Sereny under their Sienna Films banner and Spotnitz through his prodco Big Light Productions. Wildcats Productions’ Valerie Pechels and Odile McDonald will also executive produce, with Daniel Kresmery and György Rajnai of Korda Studios coproducing. Ransom is developed in association with Corus Entertainment with participation from the Canada Media Fund and will be produced with the financial assistance of the Ontario Film and Television Tax Credit and the Canadian Film or Video Production Tax Credit. The new season will shoot in Hungary in the coming months and is set to premiere on CBS and Global in 2018.